Autoimmune disease is growing at an epidemic pace and experts agree that environmental toxins – chemical, heavy metals and mold – in our food, air, water, home and personal care products, etc. are fueling the rise. To heal from any of the 100+ autoimmune conditions including multiple sclerosis (MS), lupus, and Hashimoto’s thyroiditis, we must minimize our exposure to toxins and reduce the load in our toxin bucket. In this month’s presentation, Palmer Kippola talks about toxins and multiple sclerosis and its body burden. In the 1900 this issue was not a problem be there where almost no chemicals in the enviroment. Now, however, there are more than 100,000 chemicals and less that 5% have been tested for safety in humans. The average American may be dealing with a “body burden” of 700 different toxins (A. Vojdani, Ph.D. Immunology). Because of this, we need to use precautionary measures to lower our body burden by reducing the toxicity in our bodies. Toxins and Multiple Sclerosis. Top Toxins. Medications: antibiotics, pain killers, steroids, chemo, etc. EWG: www.ewg.org and their personal care site Skin Deep. Think Dirty iPhone app to scan your home and personal care products. You can download it here. Make sure to find water filters that remove top toxins like chlorine, fluoride, and endocrine (hormone) disrupting chemicals like estrogen. If a whole-hourse water filter is not in the budget, consider a solid carbon block filter. Shower filter (needs to remove at least chlorine and fluoride). An example can be found on Amazon here. IQ Air home air purifiers. 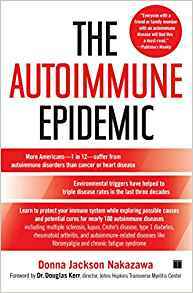 And a great book for toxins and multiple sclerosis and how toxins are massively contributing to autoimmune explosion is “The Autoimmune Epidemic” by Donna Jackson-Nakazawa. 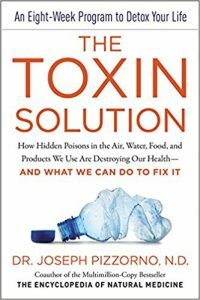 And a more recent book by toxin expert, Joseph Pizzorno, ND, “The Toxin Solution” offers solutions to the growing toxin-disease connection.